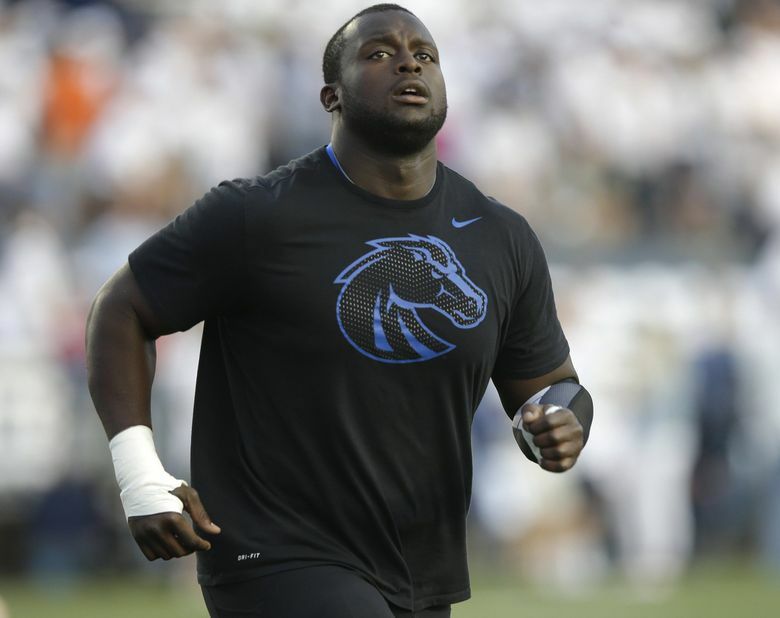 The A 6-4, 314-pounder, Odhiambo played left tackle last season for Boise State before suffering a season-ending broken left ankle in the eighth game. RENTON — The Seahawks concluded a dizzying third-round haul in the NFL draft on Friday by taking Boise State offensive lineman Rees Odhiambo with their third pick of that round, No.97 overall. The selection concluded a run of three picks in eight overall with Seattle also picking at No. 90 and 94. The A 6-foot-4, 314-pounder, Odhiambo played left tackle last season for Boise State before suffering a season-ending broken left ankle in the eighth game. However, he was listed as a guard when the team announced his selection. He started eight games at right tackle in 2013 and nine games at left tackle in 2014. His injury history made him one of the harder-to-read players in the draft — he has had surgery on both ankles in the past year. But he has been a standout when healthy, and scouts have said he should be able to play both guard and tackle in the NFL. Odhiambo, who was born in Kenya, is the second offensive linemen taken by Seattle with the Seahawks having drafted Germain Ifedi of Texas A&M in the first round Thursday. Seattle offensive-line coach Tom Cable attended Odhiambo’s pro day workout at Boise State, which had led to speculation that he could be a fit for the Seahawks.